Ford Co-Pilot360, the most advanced suite of standard driver-assist technologies among full-line brands, aims to help people around the world more safely and confidently face congested roads – today and tomorrow. Ford Co-Pilot360 includes standard automatic emergency braking with pedestrian detection, blind spot information system, lane keeping system, rear backup camera and auto high beam lighting. Ford Co-Pilot360 will roll out across Ford’s new passenger cars, SUVs and trucks up to F-150 in North America, starting on the new 2019 Ford Edge and Edge ST this fall. 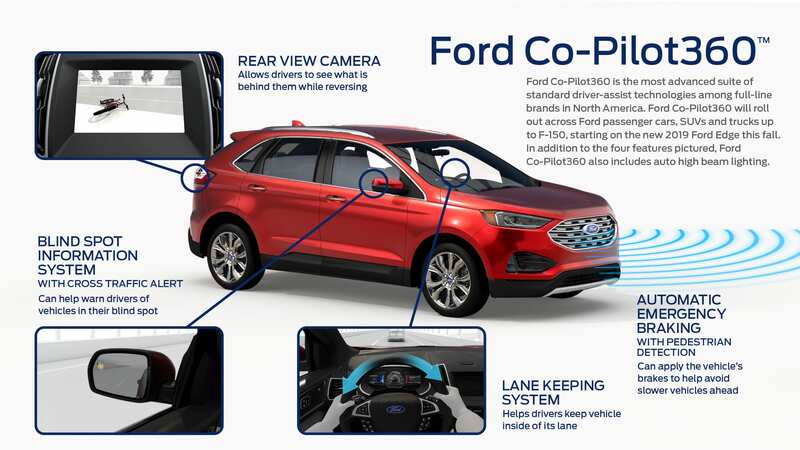 Ford Co-Pilot360 is the most advanced suite of standard driver-assist technologies, including automatic emergency braking with pedestrian detection, blind spot information system, lane keeping system, rear backup camera and auto high beam lighting – a combination other non-luxury competitors don’t offer standard in North America. 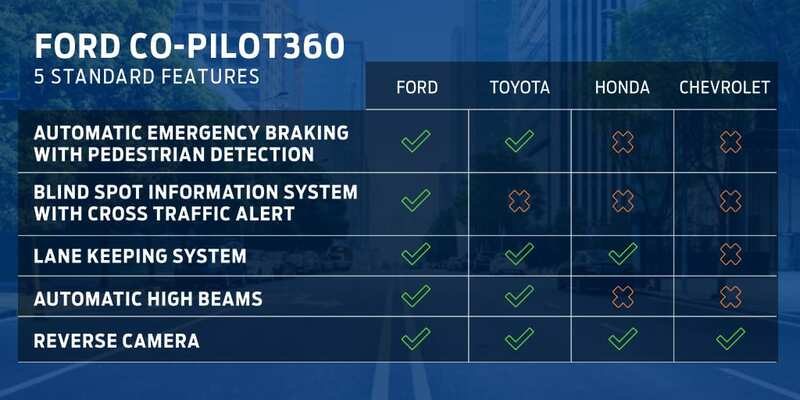 Ford Co-Pilot360 starts with standard automatic emergency braking – called pre-collision assist with pedestrian detection – that can help drivers avoid collisions with other vehicles or pedestrians who might accidentally cross in front of the vehicle’s path. If a potential collision is detected, a warning flashes and an alert sounds, and if the driver’s response is not sufficient, the system can automatically apply the brakes to help minimize a frontal collision. Commercial customers can also benefit from Ford’s expansion of driver-assist technologies. By 2020, E-Series, F-650 and F-750 and even our F59 chassis will come with available automatic emergency braking, lane departure warning, driver alert system and more. Ford will continue to introduce new driver-assist technologies. Next year, it plans to debut in North America and Asia Pacific automatic emergency braking for when drivers are in reverse. The company also is investing $500 million the next five years to continue developing new driver-assist and safety technologies. Key areas of focus will be simplifying the technologies so they work as people expect – especially as driving controls become more automated. Researchers test the user experience with many new technologies at Ford’s VIRTTEX driving simulator in Dearborn and run new systems through a battery simulations built from more than hundreds of thousands of miles of testing across the country. For example, engineers tested a recent suite of radar and camera technologies for more than 660,000 miles across the globe. 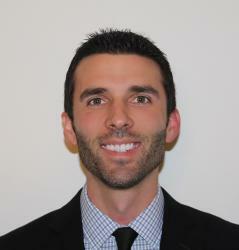 This work also will help people become more comfortable with the idea of autonomous vehicles. Ford more Ford information and pricing visit Lasco Ford in Fenton, Michigan 48430.